Enter your information below to start your 3-month sample subscription to Character Core's Digital Magazine! What is Character Core Magazine? 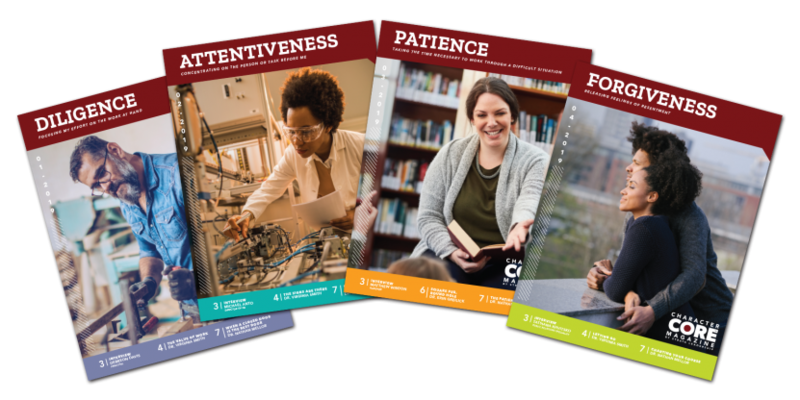 Character Core Magazine is a valuable resource highlighting one character quality each month. The magazine features insightful articles written by the experienced team at Strata Leadership, as well as interviews with leaders from all walks of life who embody the featured character quality through their occupations and actions. The magazine also contains a detailed overview and discussion questions, making it a great tool for your monthly office gathering. Read the magazine for your own enrichment. Discuss the character quality of the month at workplace meetings. Share favorite sections with family members and friends. Connect with others who care about leadership and integrity.